There aren't enough food, service, value or atmosphere ratings for Falafel Time, Belgium yet. Be one of the first to write a review! very good food and friendly people. fastfood but still healthy with a lot of different vegetables (onion, pumpkin, peppers...) . everything seemed to be fresh and the place looked very clean. thanks guys for the nice lunch ! Tasty, fresh and very clean middle eastern food. The Hummus and Falafel are the real thing, nothing compared to the junk served in Belgian durums. 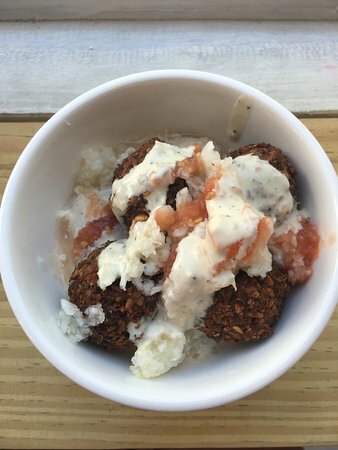 Get quick answers from Falafel Time staff and past visitors.